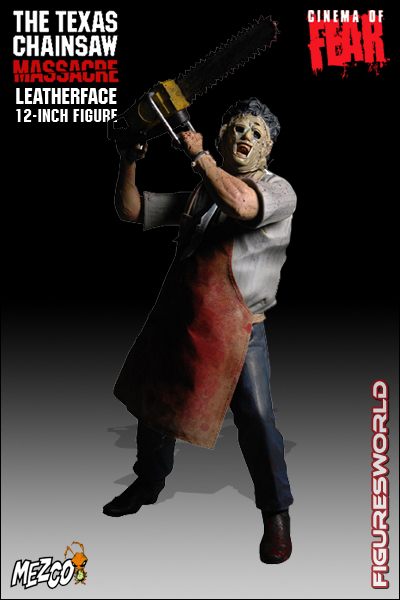 Mezco's latest 1/6th scale creation, Leatherface from the horror classic "A Texas Chainsaw Massacre." This 1/6 scale figure captures all the gory details of Leatherface, from the top of his masked face to the bottom of his cowboy boots. The blood spattered real cloth apron, the titular chainsaw, and his infamous mallet are all included. Mezco's Leatherface comes packaged in a collector-friendly window box that displays Leatherface in all his gruesome glory.